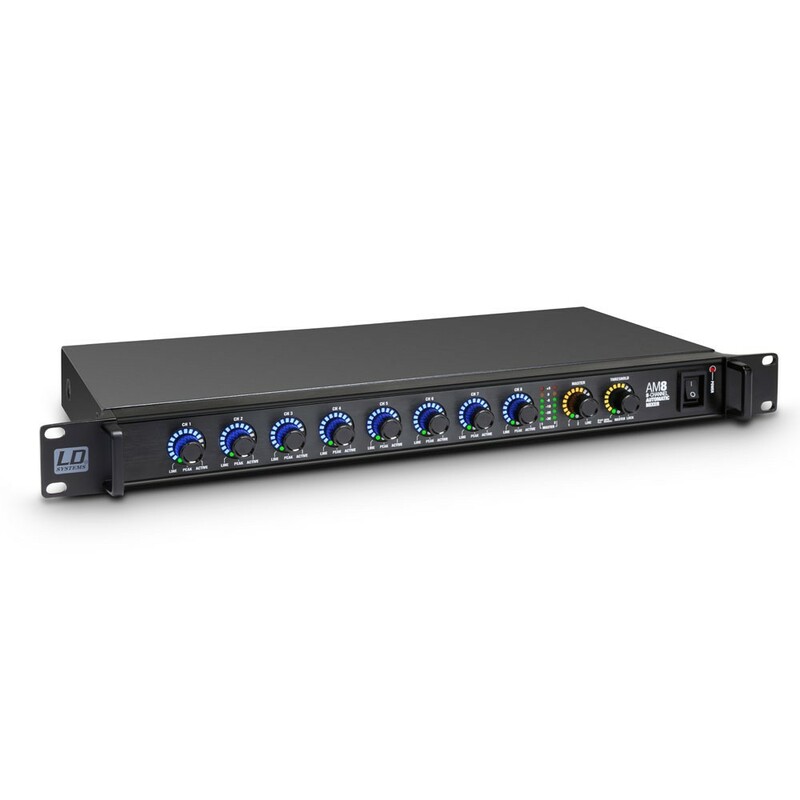 The LD Systems AM8 is an 8 channel automatic matrix mixer with balanced mic/line inputs, 96kHz/24-bit internal digital signal processing and a 20 Hz - 30 kHz frequency response. 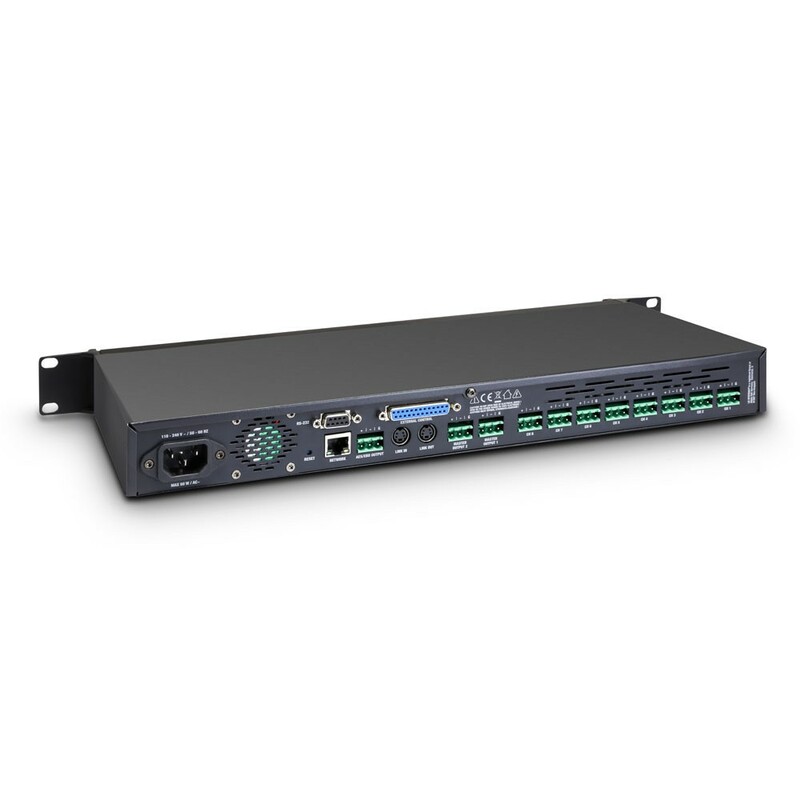 Rear panel RS-232, RJ45 and DB-25 connectors ensure networking capability, remote software control and monitoring while AES/EBU and dual master outputs provide analog and digital connectivity. 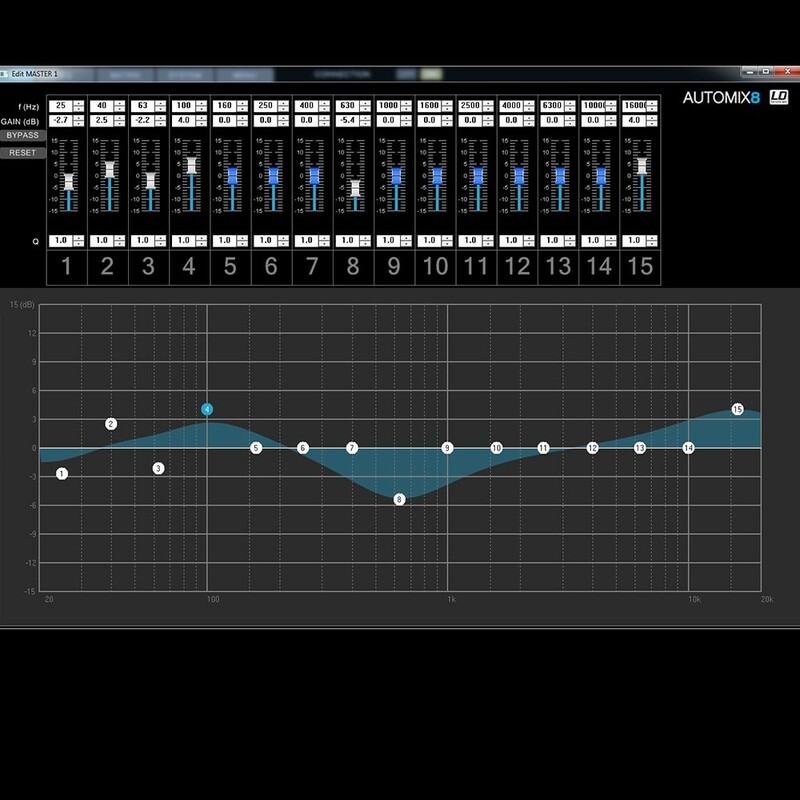 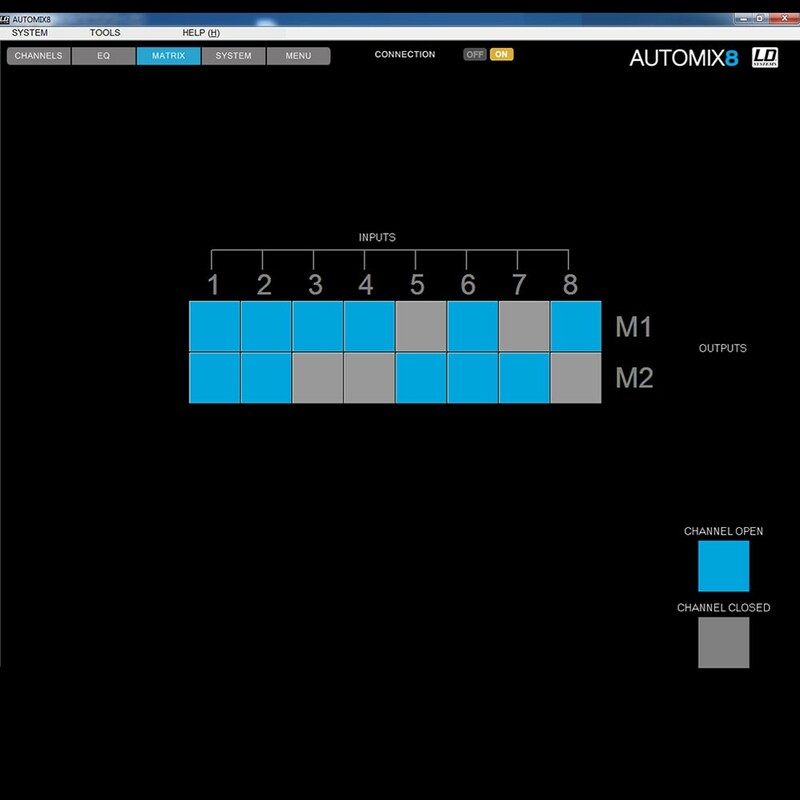 The AM8 priority feature is individually selectable for all channels with automatic or manual threshold setting. 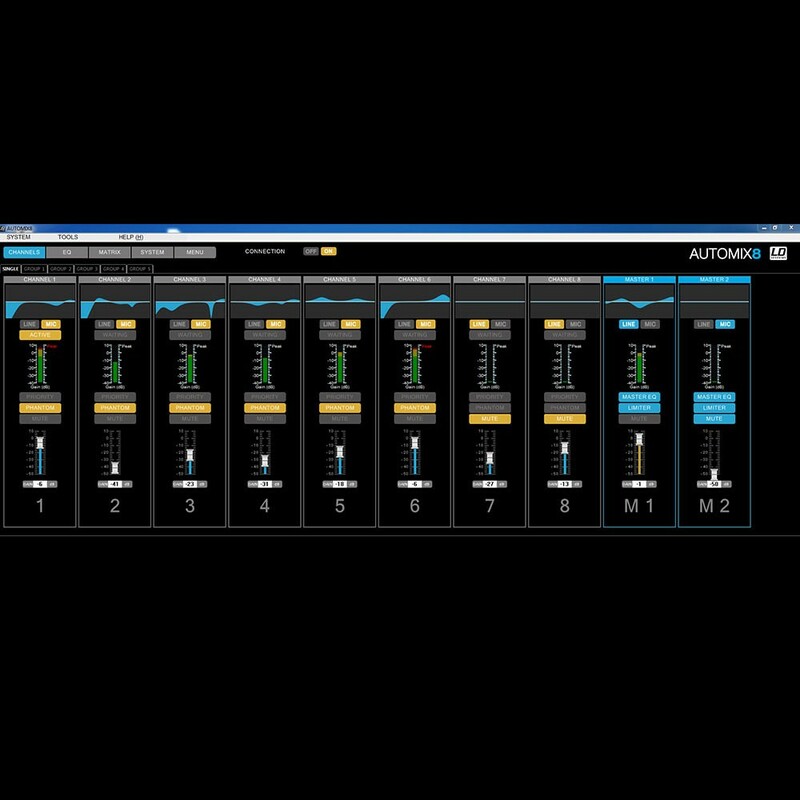 Front panel encoders with LED meter rings and peak indicators allow manual gain adjustment in 1 dB steps, input sensitivity selection and priority switching. 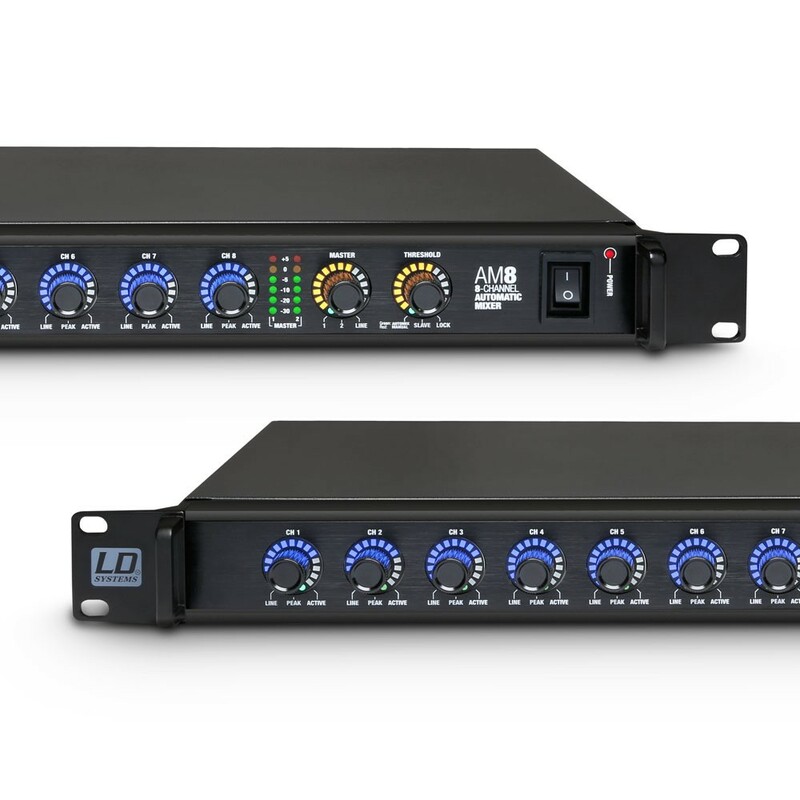 A master encoder with dual LED meters provides gain control, output 1, 2 or both and mic/line level selection plus easy signal monitoring. 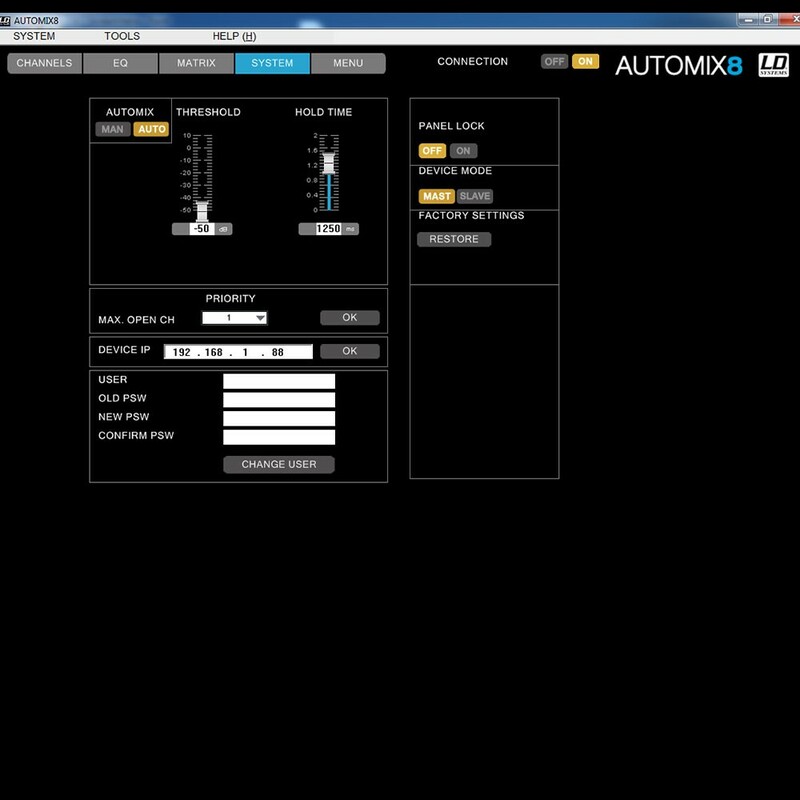 The AM8 software adds comprehensive configuration, management and control convenience. 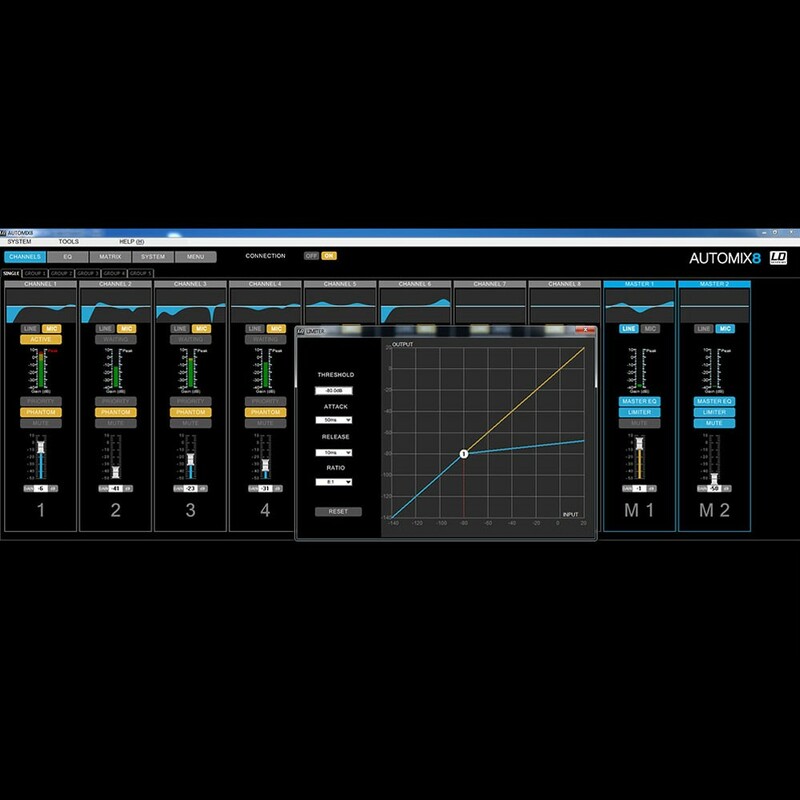 It includes phantom power switching, a 35 - 150 Hz high pass filter, high and low shelving or 5-band parametric EQ with variable Q for the input channels as well as a 15-band parametric and limiter for each master output. 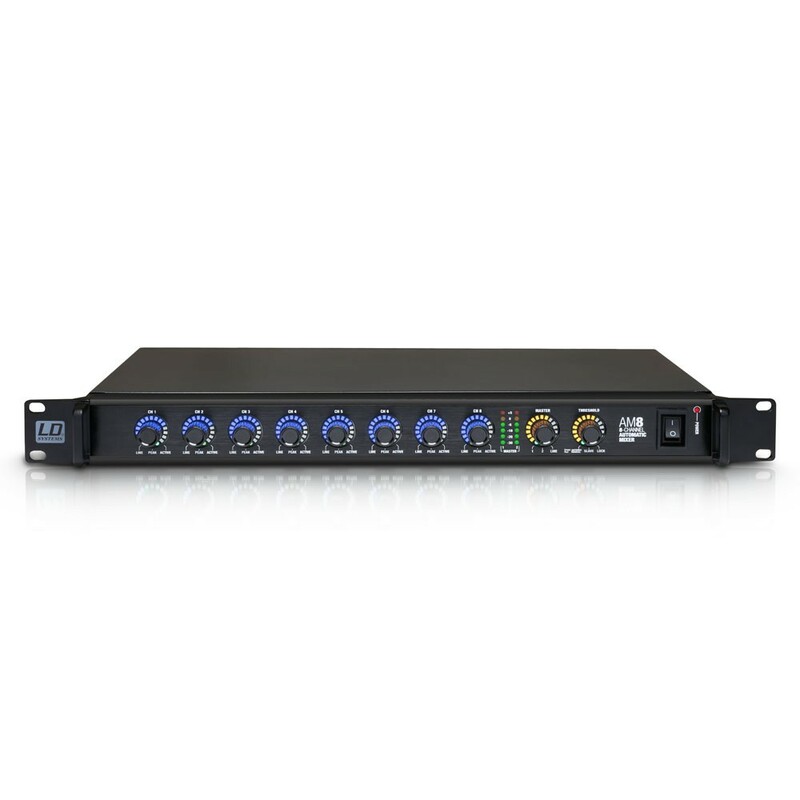 The mixer's channel inputs and master outputs are on terminal block connectors, the cable connectors are supplied with the AM8. 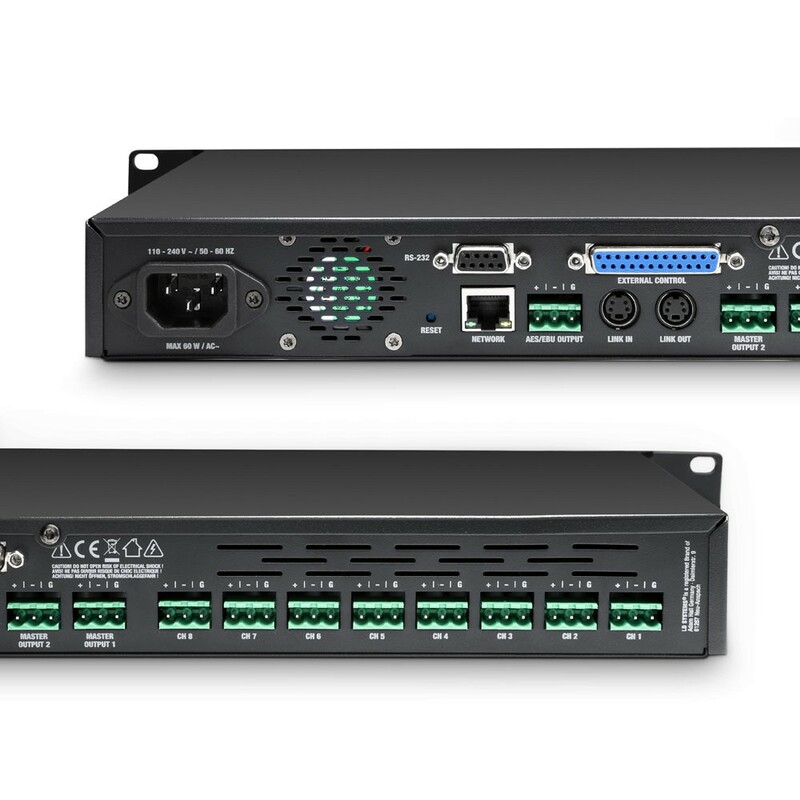 The rear panel also features mini-DIN connectors to link up to 16 units for master/slave operation.